Getting started information about websites and the internet. Feel like you have a stupid question and too afraid to ask!? The answers might be here. This is by far the best little image resize program I’ve ever come across! I highly recommend you download it, and learn some of it’s features. It is really easy to get started. 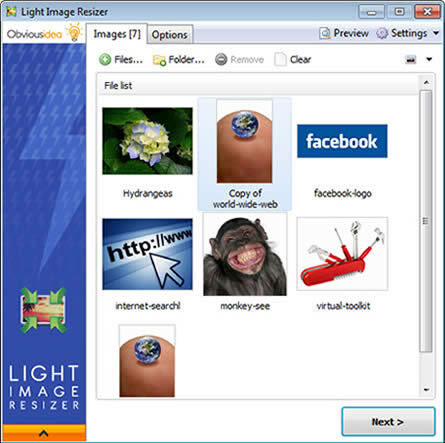 First of all go to http://www.obviousidea.com/windows-software/light-image-resizer and click on the green button “Download Free Now”. I really like the fact you can right click on an image in your File Explorer and select Light Image Resizer from there. Or you can open it as a program and open files in it. The first part is simple. Either click to open image files, or select a whole folder with images in it. Next click the Options tab or the Next button. There are a lot of options here. And a few more on the Effects, Misc and Publish tabs. But you don’t need to look at these if you don’t want. Simple select from the first drop down box a profile. 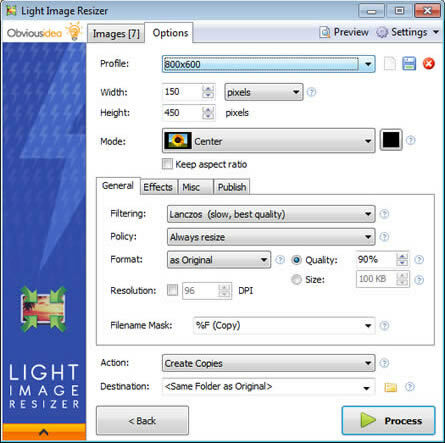 So for instance to simply resize some images to upload to your website through the editing tool, you might select the 800×600 Profile. This will knock your photos back to something that will upload easily without timing out. You could just hit the Process button now and you are done! For the more adventurous, here are some cool features…. Note you can hit the Preview button at the top right at any time to see what the results will be! * Click on the New Profile button before playing around with the settings (You don’t want to overwrite one of the standard ones like I did!). * Put in a custom width and/or height. 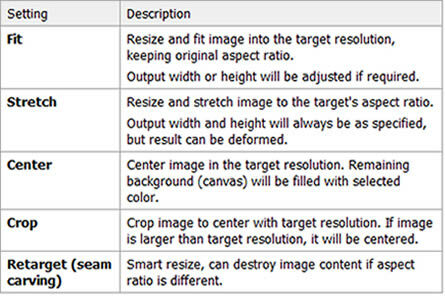 This is great if you are resizing images for eCommerce products. * Experiment with the Mode. Center and Crop can have interesting results. Make sure you use the Preview button at the top to see what the result will be. * Under effects you can even import a watermark and set the transparency and position. * Filename Mask is an interesting one. With the popup help you can create a name template for the final filename of the new image files. Something like %F_%W will rename the new image files with the original file name and the new width. So you might end up with something like surefire-logo_250.jpg. * Action will usually be to make new copies. * Destination can be the original folder, or create a new one. It is worth spending a few minutes getting your head around this program, so choose some images that don’t matter too much and give it a go! Think back to when we did training. The second most important thing you will have been told is – paste as plain text. We all know online editors have some quirks. But the most significant is to do with pasting content. The issues lay with what you can’t see. When you select and copy content from another source like a website or Microsoft Word, other hidden information comes with it. In particular if you select and copy from MS Word, you also get lots and lots of hidden Microsoft tags and code. You can’t see it, but it will break your page and make your content look terrible, or impossible to format and edit. Not to worry though! You can still copy content from elsewhere. The key is to use the following process. 2 In your website admin put the cursor where you want the content. 3 DO NOT right click paste, or hit ctrl V! Instead press the paste as plain text button on the editor toolbar. 4 You may want to go and delete the lines between paragraphs, and replace them by hitting Enter. This makes them proper paragraphs so you can format headings. It isn’t really complicated, but definitely is a discipline when you are used to using quick shortcuts for pasting. NOTE you CAN copy and paste content within your own site. Either within the editor, or from your live site.